How The Google Gmail SLAP Just made Your eMailing Life Easier! That’s right, while everybody and their brother is scrambling around trying to figure out what to do next, we have quietly been working on a number of PROVEN solutions for months now! That’s right, months BEFORE the GMail Slap was even announced. It didn’t take a genius to see this one coming. Google has been at war with Internet marketers for years now. Google did their best to kick marketers from Google ads once they dominated that industry. and now they are doing the same with email . . . because they now dominate that industry. And now, while everybody else is either in full blown panic mode or sitting on their hands saying “Let’s just wait and see”, we are seeing some of the best in-boxing we have EVER seen!! Hello . . . . This Is Internet Marketing!! The cold hard truth is that EVERY Internet Marketer has a bulls eye painted on his or her back, period! Google rules our online world and has declared war a number of times, it’s NOT going to stop!! If it were easy everybody would be doing it, right? My point is this, it’s war. We win a battle, they win a battle. The only way to give yourself the best fighting chance possible is to have a NUMBER of weapons. Not just one but a number of them. And that’s EXACTLY what we have done, we have created a NUMBER of weapons, all related to mailing and Internet Marketing. When I say that we are seeing MASSIVE In-boxing like we have never seen before, it’s because we deploy a NUMBER or tactics. What we have done is create a core piece of technology, software to be clear, that has allowed us to create a number pieces of software based on that core. All of these do different things and attack the problem at hand differently. They all work and are effective but they all take a different kind of effort, or work on your part. Why anonymous? We are creating weapons for war here. The last thing you want when fighting a war, is for the enemy to know where you are hiding! So our goals are to stay legal, keep hidden and stay effective. And some of our weapons may just not be acceptable for you to use based on your own personal set of “scruples”. As an example, think of rifle vs. WMD (weapons of mass destruction). While everybody can see the use for the rifle and it’s use would certainly be seen as acceptable in war time, only a certain number of you would be willing to deploy a WMD. So we have built weapons that scale all of the way from rifle to full on WMD. It’s YOUR choice on how you win the war! The core of our software is a “bot” called the Mega Mailer Bot. First off, Mega Mailer Bot is PURE mailing software. It does one thing and it does it great! Mega Mailer Bot allows us to import literally 100s or 1000s of emails addresses to mail to. Mega Mailer Bot supports spinning of the subject line, so no two emails ever have the same subject. Mega Mailer Bot supports spinning the text in the body, so the content of any two emails are not ever the same. Mega Mailer Bot rotates between sending emails addresses. So for each account there is always time inbetween sends. Mega Mailer Bot has an inbuilt delay function, allowing to you delay every 10, 20, 30 etc emails for any number of minutes set. And it works with the top VPN services for sending with anon IPs. Mega Mailer Bot is 100% CAN-SPAM Law complient. Mega Mailer Bot will actually rotate Unsubscribe email addresses, effectively getting rid of that last physical footprint. Mega Mailer Bot is the most flexible and powerful desktop mailing software available. In addition to the core functionality, the Yahoo bot both creates and uses Yahoo email address for bulk emailing emailing. We create a number of accounts and tap straight into Yahoo’s outstanding SMTP service and deliver emails thought the Yahoo platform. For ourselves we often create 500 – 1000 Yahoo email addresses in a day and use those email address to email out the next days list of emails. because the mailer rotates though each sending address and that we use rotating VPN Ip addresses (don’t worry, we tell you step by step how to do all of it) we find that our inboxing is beyond the levels that most commercial autoresponder services can deliver. Create unlimited Yahoo email addresses to mail from (using third party proxy provider). The Yahoo bot is the least expensive of all of our bots and it leaves a clear and simple upgrade path to the other other bots. Think of this bot as the “Rifle” In the right hands it can do some serious damage. meaning it’s a VERY effective tool and it’s actually the tool that started our mailing careers. We would buy large email list from online providers and send those list using the Yahoo mailer bot. Using the bot we would send people to opt-ins on a page somewhere and convert them to a proper autoresponder. This system worked great for years for us. Sending and Inboxing Bulk Email Using Our Yahoo Bot. I do want to point out that there are some inherent “issues” with the Yahoo bot and ONLY the Yahoo bot, for the sake of full disclosure. Yahoo is not dumb and what we are doing here is taking advantage of how they have set up their mail system. And to be honest, their algorithms change almost daily but not totally. There are days when this bot just doesn’t work well, based on Yahoo’s changes for that day. Then there are days when it works amazingly well. Added to that, they change their site constantly and that presents challenges in creating emails. That’s why there just aren’t many people auto creating Yahoo accounts anymore. But because we DO use this ourselves, we make those changes as soon as we see them. So rest assured, the software get’s updates constantly. That Doesn’t Work 100%, 100% Of The Time? One word, Anonymity. There is literally NO BETTER WAY to send bulk email anonymously than by using our bot. And you can even remain CAN-SPAM complaint why doing so. So yes, while at times there may be a short term loss in function due to Yahoo changes, they generally revert back within 24 hours and then it’s rock and roll!! With that in mind, we have added a “test” button for your email, to see if it’s actually being delivered that day. Simply hit test, see if it’s running and then decide based on the result. Our method is this (yes by the way, we still use this bot ourselves). 1. We create Yahoo email address with the bot using 100 paid proxies. 2. We use Dexter’s proxy (link is in the course) to get a list of private proxies and then we run those through Elite Proxy Switcher (the free version) and use those to create even more email address. We’ll end up with about 1000 emails. 3. 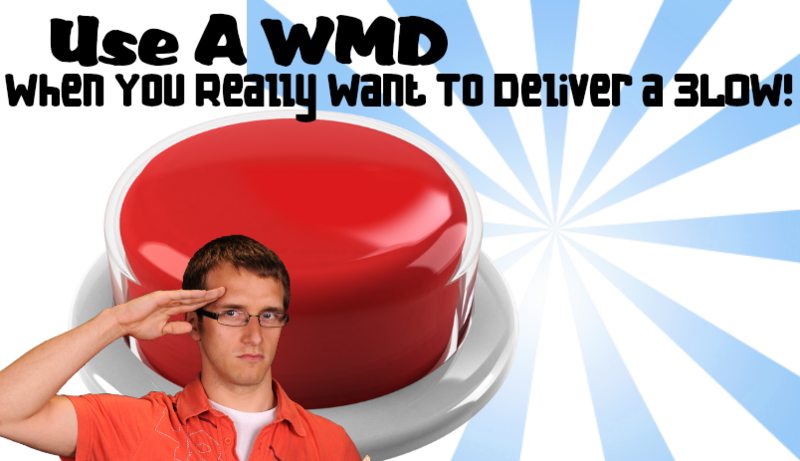 We create our email to go out and test everything with the test button. If that goes well (99% of the time it will) we send to our personal seed list. 4. If the seed list is inboxed, we launch the full campaign. If they don’t get inboxed, we wait a day and almost always it’s now good to go. It may sound like a lot of work, but it really takes no time at all once you have your Yahoo email addresses. Our SMTP bot takes this war to a whole new level! We are introducing features here that not even commercial autoresponder companies have and that other email blaster software companies only dream of having in their software! Use an unlimited number of third part SMTP servers. Rotate sending across that unlimited list of SMTP accounts. Spread your list across sending platforms, limiting your bounce rate risk. Our Mega Mailer SMTP Bot has an inbuilt delay function, allowing to you delay every 10, 20, 30 etc emails for any number of minutes set. And it works with the top VPN services for sending with anon IPs. Our mega Mailer SMTP Bot supports spinning the text in the body, so the content of any two emails are not ever the same. We work with ALL of the major third party SMTP providers, including Mandrill, Mailjet, Sendgrid, Elastic mail and more! Our Mega Mailer WMD Bot is a combination of our two other bots. You get ALL of the functionality of both bots in one powerful and amazing package . 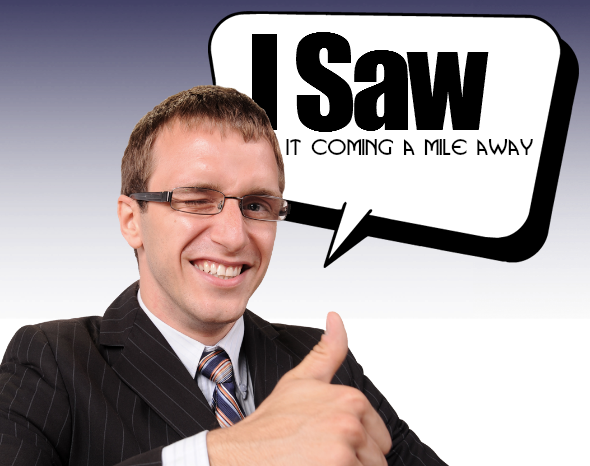 . . with one HUGE additional feature!this tool then it’s time to get out of the game, period. One of the things that really makes our bot so different than other options out there is that from software level, we are 100% CAN-SPAM complaint. We give you the option to insert a physical address and we give you a way of handling unsubscribes. All with a great amount of anonymity. With Mega mailer WMD we have taken it even one more level!! We have created a way for you to make 100% totally anonymous email addresses (literally as many as you want) as your unsubscribe email addresses. And then the Mega Mailer WMD bot will actually check those email address for you for any unsubscribes. Crazy right? Watch the video below to see it in action! Nobody gives you this kind of anonymity, nobody!! 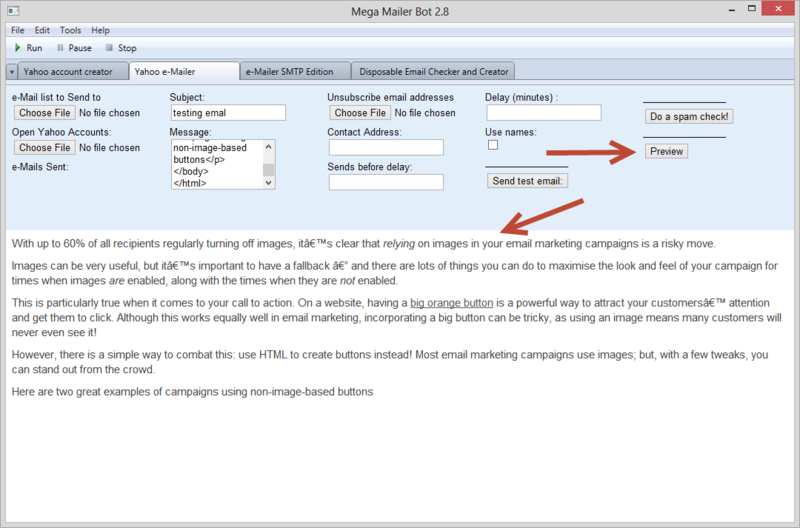 Mega Mailer WMD Allows You To Preview Your Email! See It Like The People You Are Mailing Will See It! Want To Know If Your WMD Emails Will Pass The Spam Test? We Have That Built In Too! The Higher The Score The Better!! To help you fully understand EVERYTHING that’s included with the Mega Mailer WMD Bot, just read the extensive list below. First off, Mega Mailer WMD Bot is PURE mailing software. It does one thing and it does it great! Mega Mailer WMD Bot allows us to import literally 100s or 1000s of emails addresses to mail to. Mega Mailer WMD Bot supports spinning of the subject line, so no two emails ever have the same subject. Mega Mailer WMD Bot supports spinning the text in the body, so the content of any two emails are not ever the same. Mega Mailer WMD Bot supports full HTML in the text body, design emails in your HTML editor then just copy and paste the source into the bot! Mega Mailer WMD Bot rotates between sending emails addresses. So for each account there is always time in between sends. Mega Mailer WMD Bot has an inbuilt delay function, allowing to you delay every 10, 20, 30 etc emails for any number of minutes set. And it works with the top VPN services for sending with anon IPs. Mega Mailer WMD Bot is 100% CAN-SPAM Law complient. Mega Mailer WMD Bot will actually rotate Unsubscribe email addresses, effectively getting rid of that last physical footprint. Mega Mailer WMD Bot will create ANY number of fake email addresses to be used as the unsubscribe link. Mega Mailer WMD Bot will log into those fake email addresses and pull out the email addresses of those who have unsubscribed! Mega Mailer WMD Bot includes an email preview function, see what your customers are seeing! Mega Mailer WMD Bot include a spam checker! Find out your chances to get blocked by spam filters. I’m sure by now you are wondering, “How Much?” Of course you are, it’s only natural. There are a couple of things I want to address before I answer that question. Question that I know some of you will have. Q. Is this software built on Ubot technology? A. Yes it is. Ubot certainty is a great platform to develop from but there is a HUGE amount of work that goes into creating a software like this. Q. I see very inexpensive Ubot software all of the time, shouldn’t this be very inexpensive also? A. Well, we think it is based on the value it delivers. Often the really inexpensive Ubot software is that way because not a lot went into the development of them and honestly, they look cool but there is really just a limited value there. Q. So what are you really basing your pricing on? A. We’ve been doing mailing for a long time, we know how much money software like this generates, all the versions. We also know that we are providing a level of anonymity that we have seen in no other CAN-SPAM complaint software. In the end, there is nobody providing the combination of features that we are. And our pricing is STILL under many of our so called competition. Q. Speaking of competition, don’t some of them offer features that you don’t? A. Yes, for sure. Most of those features are the same features that will kill your anonymity. Nobody makes you as safe as we do. Q. If you are really legal and CAN-SPAM complaint, why is anonymity important? A. I couldn’t even list the number of reasons we feel it’s important. But there is great power in “staying under the radar”, that’s what our software provides. It allows you to mail they way YOU feel you need to mail, without drawing unwanted attention. A. No, of course not. But many mailing options force their morals and their beliefs on you as a customer. We don’t believe in that as our morals and beliefs ma not be the same. We draw the line at the clearest possible point, the law. I also want you to know that we aren’t some sort of fly by night operation that’s going to leave you high and dry. We have been developing and using these bots for years now. They are tools that we use for our company so we aren’t about to stop developing or supporting them. We absolutely 100% guarantee our bots for the period of 30 days. We would do so longer but it’s not really fair to the affiliates who help us sale our bots, especially because of the limited quantities. Oh, did I mention the limited quantities? As you can imagine, bots like these are in VERY high demand. They just plain work. The problem is what sometimes when you develop something like this, it lands in the wrong hands and that can ruin it for everybody. So we keep sales down to just 250 active copies of each version. What are active copies? Our software has an anonymous server ping to it, it keeps down on theft and lets us know that is in use. Active copies are copies that have been used within the last three months. If that number hits 200 or lower, we open it back up for sales again, like we have now. Once we hit 250 on each version of the bot again, we will close this offer until active copies are again below 200. It’s how we protect you and ourselves. I’m not going to try and hard sell you, I’m not going to throw in 100 bonuses and I’m not going to apologize for the price. What I’m going to do is give you a 100% guarantee of satisfaction for 30 days and let you decide for yourself. If you don’t buy it, the next guy in line will. Last time we had this open and then sold out, we received hundreds of emails asking us to open it back up so people could buy once they had thought about it . And I’m going to tell you like I told them . . .
Get The Mega Mailer Yahoo Bot! Get The Mega Mailer SMTP Bot!! Copyright © 2013 Mega Mailer Bot. All rights reserved.